Though you can do online school from Kindergarten and beyond, the younger students require much more hands-on time and much of the program isn’t done on the computer. Because of this, I would essentially have to be her teacher. There’s nothing wrong with that of course, but because I work from home full-time, I can’t do both. He works outside the home, and wouldn’t be available to help her. At this age, she would need much more attention and guidance than I could provide. The school does provide all the materials you need – textbooks, project materials, and more, shipped to your home upon enrollment, so you don’t have to spend time or money gathering things your students require to complete projects. They even sent my son the novels he’s required to read in his English class this year. I don’t know what the elementary school materials would look like, but the platform does say most of the program doesn’t take place online until the kids are older, so I imagine there would be much more than we received for high school. 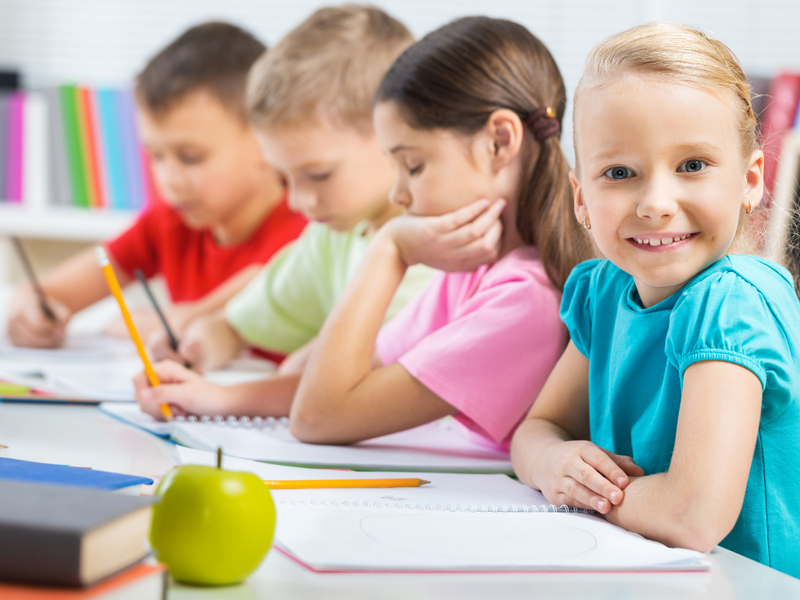 While every kid needs social interaction and there are options for the online students to meet with other kids in their local area, it’s much easier for us to send her to the local elementary school where she can work on her social skills. Don’t get me wrong, we love our little girl dearly – but there are times when kids can get to be a little much! If she were attending an online school like my son, she’d almost never leave home – except to go visit with her mom and grandma. My son spends time in NC a month at a time – and while it means I miss him like crazy while he’s gone – it means we get the chance to miss each other, which is good for our relationship. We communicate online while he’s gone, of course – but that’s not exactly an option with an 8-year-old. Will We Consider Online School for Her Later? I can’t really say – because I’m not legally her parent. I’m a bonus parent – who’s here to support her, love her, and help her blossom into a young woman. When she’s older, I could see it possibly being discussed, but at this point, her maturity level isn’t where it needs to be to accept the personal responsibility that comes with online school. If she’s ever in a situation where a traditional school doesn’t make sense – such as illness that keeps her homebound, bullied to the point where she doesn’t want to go to school, etc. then I imagine we’d make it work for her to attend school from home. How do you feel about children attending public school online? It’s definitely a personal decision to be made based on your child and current circumstances. It works well for my son but clearly would present challenges for my bonus daughter.